A non-fare paying passenger was found on a Thai Airways Boeing 777 flying from Hokkaido, Japan, to Bangkok, last month. However, this stowaway didn't take up much space or consume the contents of the business class bar on the quiet! It just seemed to be enjoying the adventure, scurrying around the airline's magazines and in-flight safety briefing cards. 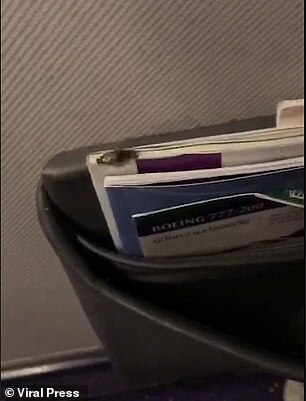 Filmed by one of the passengers on the flight, this little stowaway was a large dark red cockroach that popped out of a magazine pouch, just after the in-flight snack was served. As the UK's Daily Mail reported. It is not known when or where the little critter boarded the jet, but it is most likely to have arrived on the aircraft in Thailand and had perhaps become immune to Thai Airways usual pesticides. The airline apologised for the little interloper and promised that its cleaning staff would double check the seat pockets for insects during the usual between flight cleaning. The carrier also said that it would introduce a different more powerful bug spray. 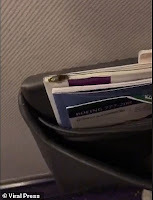 This particular Boeing 777 has since had a deep clean during its scheduled maintenance the airline reports, so hopefully, no other passengers will have to share their seat pitch with another non-fare paying creature.